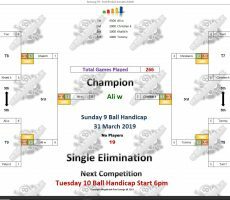 SUNDAY 9 BALL – 31st MARCH : ALI WINS. 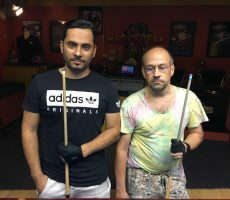 Last night’s 9 Ball Competition was won by a new player, Altheeb (Ali) Wolf from Bahrain. 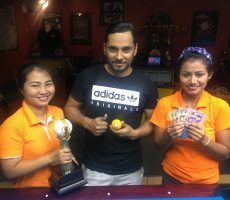 From a field of 19 players he showed some impressive play all evening to win six consecutive matches without defeat and collect the 1st Prize of 4500 baht. 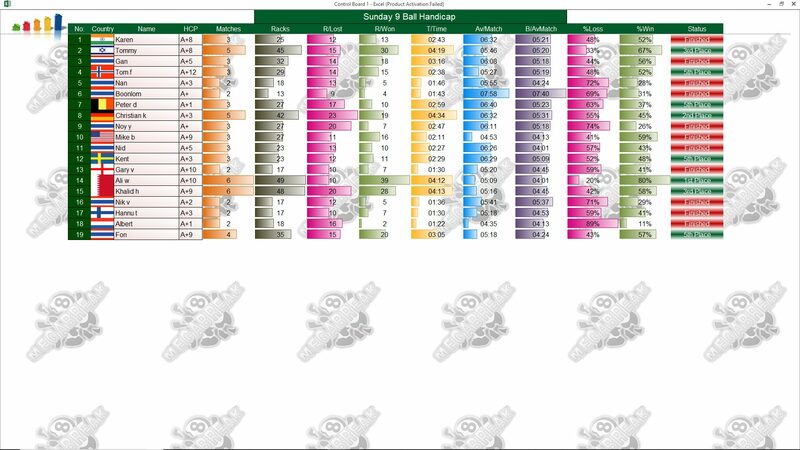 In the final he beat eccentric German, Christian (CK) in the deciding rack (race 8-3) to seal the win. Christian also played well to reach the final undefeated before losing out by the narrowest of margins, and took home 2000 baht as Runner-Up. 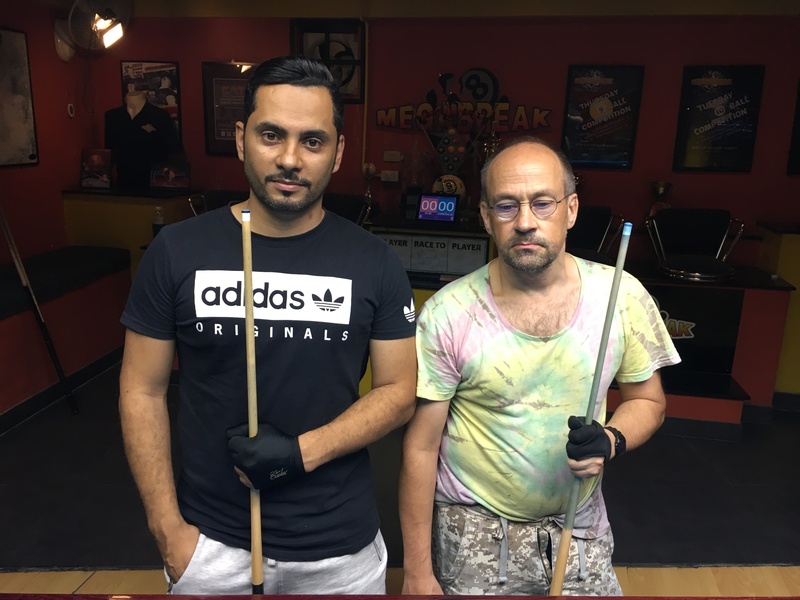 Ali’s friend Khalid Haji, also from Bahrain, and last week’s champion Tommy Fineman from Israel both reached the semi-finals, pocketing 1000 baht each. Champion : Ali (A+10) – 4500 baht. 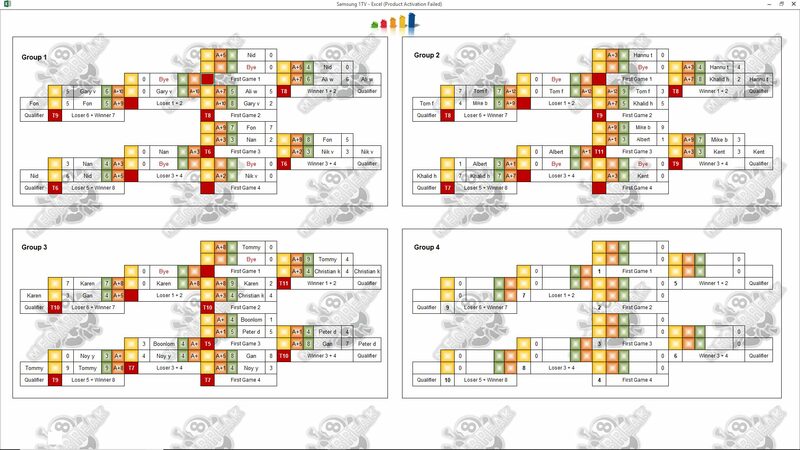 Runner-Up : Christian (A+3) – 2000 baht. 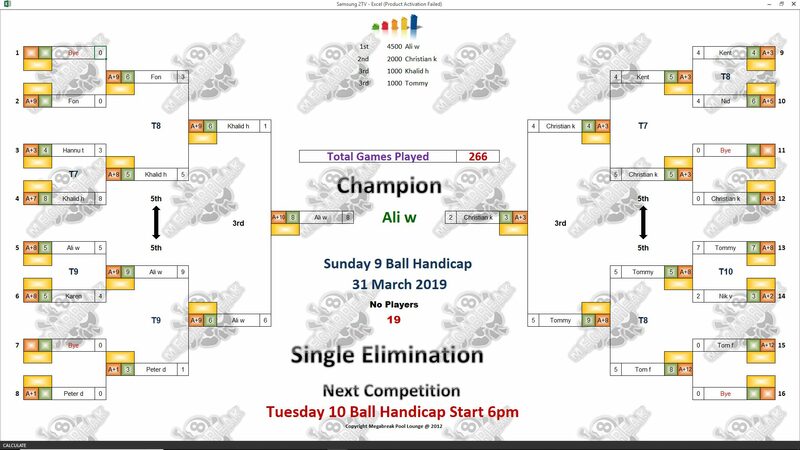 Semi-finals : Khalid (A+9) and Tommy (A+8) – 1000 baht each. The Player Auction Prize Fund totalled 20800 baht and was won by Sam Lowe. 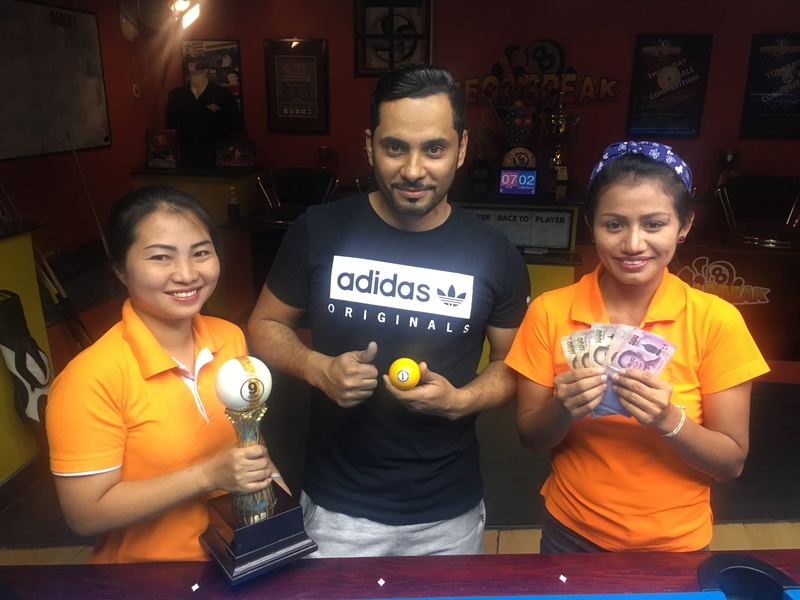 He bought Ali and Khalid as part of The Field (4 players) for 3000 baht and bagged 11000 total for 1st and 3rd. 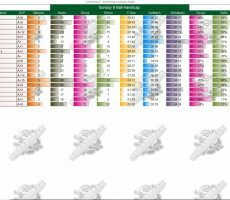 1st : Sam (The Field) – 8000 baht. 2nd : Fon (Christian) – 5800 baht. Equal 3rd : Sam (The Field) and Kent Söderlund (Tommy) – 3000 baht each.